Essays on current architecture topics: discussion forums are aplenty but the dialogue tends towards soundbite carping and incrowd chat. This is a forum with a difference. Readers can enter the ring but a certain reflection is required. Architecture debate is welcomed on e-architect. We kick off with a piece on iconic architecture. Stimulate the debate by sending in your own pieces, minimum words 500. One of these issues / debates surrounds the concept of ‘place’, and methods of ‘place making’. If you consider most Gehry or Alsop schemes, for example, I would hazard a guess that you think of the building before the spaces in and around. Iconic architecture isn’t necessarily inimical to good place making, but they are rare bedfellows. A third issue / debate surrounds ‘sustainable buildings’ and ‘sustainability’. Again, much iconic architecture appears inimical to this key built environment issue. Do most iconic buildings push the boundaries of sustainability in a positive way? Apart from the occasional exception – such as elements from the Scottish Parliament – I would suggest not. Take an example that I worked on, so can write with some assurance: the ‘Fred & Ginger’ building by Gehry in Prague. Glamourously splashed across our magazines the building is hailed a success. But look more closely. Working on the interior, I found the building inefficient in terms of structure and of space planning. Complexity of form has created waste spaces, over-structured elements, leftover spaces onto the street and problematic office planning. If true, why would any self-respecting developer spawn such a thing? The answer is that a building like this simply could not come to fruition unless the developer could sell the product in terms of ‘signature architect’ and ‘iconic building’, thus overcoming any shortfalls in key parameters of what makes a ‘good building’. You could say in some circumstances that a weak building can be procured provided it is sufficiently branded and marketable. Thus iconic architecture can sometimes appear to swim against much of the needs of clients and wider society, but hey they’re exciting. And so the world of iconitecture continues to breed ever more wacky encrustations and the concept of a ‘good building’ is considered old hat. Which brings us on to what is ‘good building’? Who am I to judge? I can only offer my opinion based on objective and subjective stimuli, but at an Architecture Debate in 2005 I was interested to hear Christoph from Will Alsop’s office saying he wanted to make ‘interesting buildings’ whereas the AJ writer Austin Williams talked about ‘good buildings’. I tend towards the latter language, and feel that the first year at architecture school weaned me off simply trying to make ‘interesting buildings’. That trap can lead to simplistic form making, dropping funky ‘statements’ into bemused cities. Another issue is humbleness and the tick of the clock. Shown round the Westport building by architect Neil Gillespie he told me that he claimed to do ‘buildings, not architecture’, and I agree with this general idea, that we have to allow some years to pass before judging too precisely. This picks up on another old debate re listing and awards, and about architectural journalism: I feel we should all try and shift the emphasis back a few years so buildings are principally – but not wholly – judged after a period of occupation. We still need awards and articles up to – and upon completion – but, too many people still consider architects as aloof. One way architects could perhaps reduce this perception is by fully and consistently engaging with matters that the public consider important and ensuring they are properly informed: many architects now do this but some don’t. Casting all award juries with at least one layperson would also open the profession out, making it appear less exclusive, less solipsistic. The architectural press could help too by including a higher percentage of post-occupation building studies analysing a wide range of parameters that go way beyond style. Taking a step back from the profession’s topical debates, I feel there are more important issues for us to tackle than iconic buildings. Whilst I prefer the simplicity of Richard Murphy Architects’ Maggies to Frank Gehry’s, or Jacobsen & Aalto to Gehry & Alsop, these are subjective opinions of talented architects all pushing boundaries, not just of style, but of building. Instead we should turn our focus on the real failures: the great mass of building, the suburban houses, the sheds, the messy farm buildings, the feeble supermarkets. Suburban houses have been the subject of much debate along the lines of ‘don’t complain, get involved’ and I would subscribe to that view. With architects such as Richard Murphy and Malcolm Fraser entering this ring we can feel more optimistic but the great mass of housing is still obviously poor quality. However, let’s take another pathetic contributor to our built environment: the shed. Why is it that a city such as Edinburgh spends millions of man-hours legislating and managing the process of building in the city centre to leave the peripheries so neglected? I’m repeating myself as I wrote this years ago in my website editorial, but why do our cities have dull boxes forming its gateway from the south-east? By presenting our communities to the world using unadorned sheds we are as dumb as the dull sheds. So what do we do? Rather than complain, can we produce tangible improvement? Of course we can but we can’t rely on the traditional residents’ campaign as these sheds reside in no-mans land. Councils with the clout of Glasgow or Edinburgh must grasp future Braeheads or Fort Kinnairds and demand considered proposals. Just because the Ocean Terminal is ostensibly urban does not mean the concept of thoughtful mall and limited surface parking can’t work on the edge of town. And don’t think these mall developers will say ‘we won’t come to your town then’ if the Council gets too hard: the market will somehow provide these malls unless legislated out per se. The city fathers have to set much higher standards for retail parks. They are not unstoppable branded beasts marching across the country, unable to tweak a fascia board or bother with their rear elevation – let alone any elevation! Which brings us on to branding. Bilbao considered the ‘signature architect – iconic building’ equation and put their city on the map. Thus ‘iconic architecture’ now equals ‘successfully branded city’ for councils across the globe. And it works in visitor numbers but does it work on other levels? Does the Bilbao Guggenheim form ‘good public spaces’, let along make ‘good architecture’? This is where I feel the architecture community can try and guide councils – and other clients – to go for a deeper and more long-term view. Rather than simply shrug one’s shoulders like Mr Jencks, and accept that the world has changed, we can be part of challenging thoughtless consumerism and tokenistic facades, there is a choice. Why learn about place making and solid, integrated design at University to throw it away because savvy Clients demand glib one-liners? We have a generation of students who are blasted with the brash statements of world-famous signature architects and many are understandably mesmerised by it all. There is a suggestion iconic architecture is a pure resultant of current capitalist forces: but is it not a fashion – like Modernism was – that is interlinked to the zeitgeist? It is clearly not the only answer predicated by our times. Technology allows complex shapes and any colour we wish, but fashion largely dictates the result. Blaming outward economic forces is wrong: some architects who eschew sensitive interventions – whether neoclassical or neomodernist – are only too glad to design ‘look-at-me’ wow buildings. Like bees to honey – with fame and fortune in the pot – architects can link arms with ambitious clients and wack their signatecture into any old site they can find. I grew up with the work of Aalto and Mies, Leiviska and Wright, and would consider their work considered, that the Barcelona Pavilion, say, deserves the tag ‘iconic architecture’, but not the mishmash splashes of paint across needy northern towns’ new sheds. 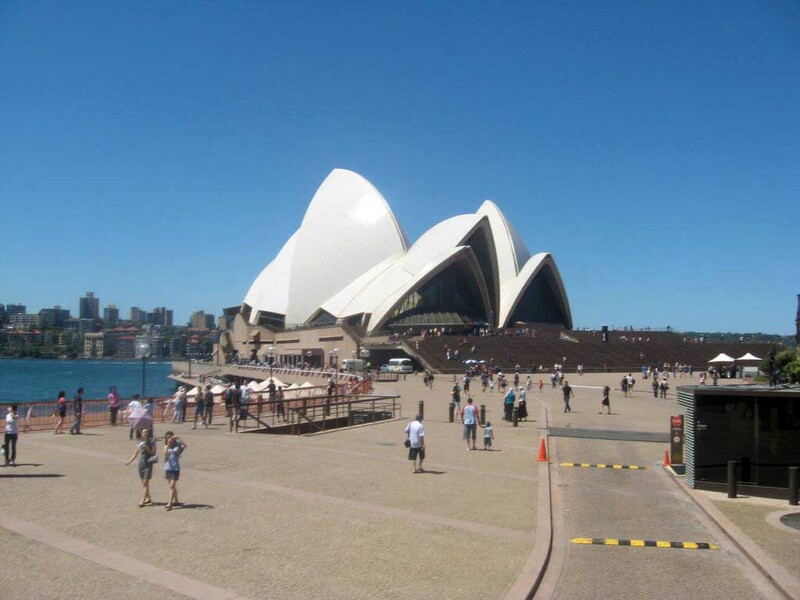 An ‘icon’ such as Sydney’s Opera House works on so many levels other than the ‘sail’ symbol. 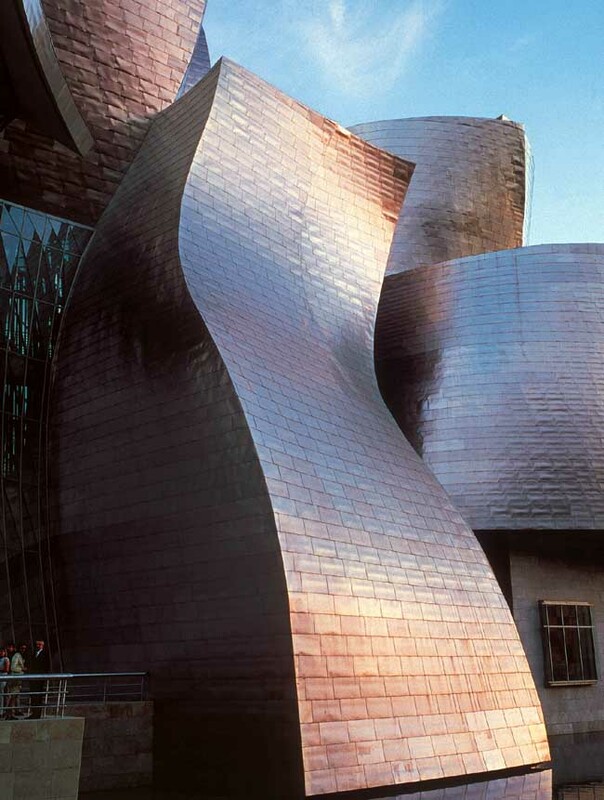 Feedback from friends and colleagues suggests another city’s icon – Bilbao Guggenheim – doesn’t succeed at multiple levels. We’re back to the subjective issue of quality and this is why I’m not a signed-up ‘anti-iconic’ but wary of aspects of a broad sweep of current iconic architecture, and its increasing role. Multiplying faux-icons devalues real icons such as cathedrals or parliaments. Iconotastic cities with bloated signature buildings become devalued, dystopic cities. It was a surprise that neither the Scottish Parliament nor Maggies Dundee were much discussed at the Prospect debate – they seemed the obvious local iconic candidates. Miles Glendinning certainly dislikes the former but some question whether it is iconic. In an interview with Building Magazine in 2001 Miralles stated he was “searching for iconographies”. Look closely at the building and you see numerous leitmotifs repeated ad infinitum, but is it not a series of layered icons rather than one clear icon like the Eiffel Tower or World Trade Centre Towers? Look deeper and you can see Miralles’ signature – almost literally – as the soft double arches of his surname’s initial are to be found everywhere! Bizarrely no critic or reporter seems to have spotted this elusive M, repeated across our national assembly like McDonald’s golden arches across the globe. It is in the profile of the trigger panels, the plans of Chamber and Press Tower, the soffit of the MSP rooms, the Garden Foyer desks, the lochans, the railing plans, the balustrade sections, etc., etc. The building is indubitably branded beyond belief and Enric is chuckling to himself somewhere. Benedetta probably would not want to discuss the magnetic M: she cunningly tried to evade questions about the trigger panels, the vague mention of ‘curtains’ preventing further searching questions. Dig deeper and you see these same hairdryer panels in Italy, on an EMBT building. Beware claims that a certain motif or element relates to its urban context. Just as Benson + Forsyth’s homage to Scotland popped up later in Dublin, albeit slightly reshuffled, so the trigger panel shares no DNA with some local religious skater! A city wishing to brand itself through new buildings should grab a handful of salt and research their chosen designers past work and current intentions. But before worrying about iconic meanings they should surely start by banning identikit boxes. I would like to sidestep the wow factor bandwagon for a moment and argue for sensitive interventions into all of our urban and rural environments, not just the city centres. Take farm buildings, freed up from much planning encumbrance in the eighties, free to destroy the landscape in a way that rural houses would never be allowed to. It is time we imposed more regulation and guidance here yet the debate seems stuck on wind farms. The everyday rural buildings – just like the urban sheds – are neglected in discussions from Parliament to Prospect because they are perceived to be untopical and uninteresting. Let’s change that; let’s change our focus onto the ordinary buildings, the corner shop and the cash and carry, the post office and the town hall. I recall Gordon Murray intervening in a debate about the RFAC to ask why massive redevelopments such as the rehabilitation of Ravenscraig Steelworks weren’t being discussed rather than topical city centre schemes that seem to excite architects. There is a time and a place for these ‘architectural discussions’ – and I’m as guilty as any – but architects could, I feel, improve their lot by engaging in everyday aspects of people’s lives. If every street is perceived as a ‘gallery of buildings’ then we all know many galleries are bereft of architects’ works: to muscle in architects have to routinely provide a superb service to clients and the wider public that produces real value, not just peer approval. Legislation could fundamentally assist architects in opening up new workfaces, whether it be bedsheds or cowsheds. Then architects should again become fully respected, not peripheral figures dealing with only certain typologies. As it is, many of us look like we care more about fashion and peer approval than what is really of worth. Time to change the debate. Time to try and change the state of all typologies within our built environment.